The 75-year-old star, who famously held The Beatles off number one in 1967, has been chosen by the BBC to take part in the contest. He follows boy band Blue who finished 11th last year, behind Ireland's Jedward - who are due to take part again this year. 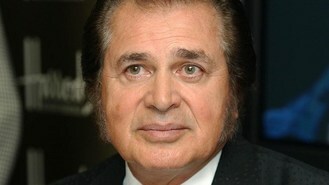 Humperdinck said: "I'm excited and raring to go." The perma-tanned heartthrob - whose hits include Release Me and The Last Waltz - will take part in Azerbaijan in May. The unnamed song is being written by Sacha Skarbek - who teamed up with James Blunt to compose his global hit You're Beautiful - and Grammy-winning producer Martin Terefe. The track will be recorded in London, Los Angeles and Nashville. Humperdinck - famed for his bushy sideburns - has sold more than 150 million records around the world and continues to tour. The BBC hopes that using an established name will help the UK's fortunes at the 57th contest, expected to be viewed by 120 million. For many years, viewers and listeners were allowed to choose the act or song which would represent the UK, but the BBC dropped the public vote last year with Blue's entry. Katie Taylor, the BBC's head of entertainment and events, said: "Not since the 70s have we had such an established international musical legend represent the nation. We couldn't be more delighted." Humperdinck - born in India and raised in Leicester - said: "It's an absolute honour to be representing my country for this year's Eurovision Song Contest. When the BBC approached me, it just felt right for me to be a part of an institution like Eurovision. I'm excited and raring to go and want the nation to get behind me."